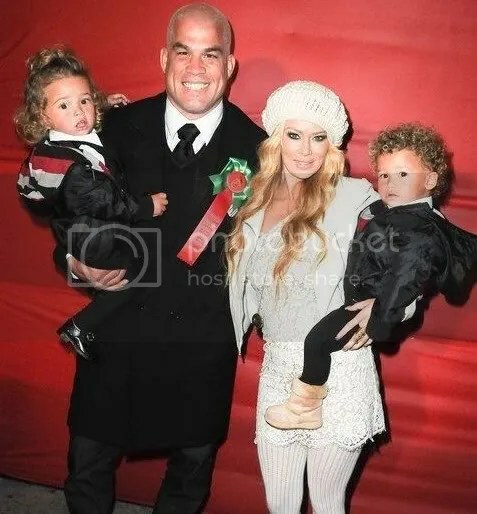 Jenna Jameson, husband Tito Ortiz and their twin sons Jesse Jameson and Journey Jette, 20 months, attended the Hollywood Christmas Parade on Sunday, November 28th. This entry was posted in Dad and Baby Photos, Events, Mum and Baby Photos. Bookmark the permalink.